100m customers will shop in augmented reality by next year - Augmented Reality, Virtual Reality & Mixed Reality services in Chennai, India. One of the most interesting solutions they’ve turned to recently is augmented reality (AR). Stores from Macy’s to IKEA have made headline using AR and really pulled customers into stores. As the competition with e-commerce intensifies, Gartner believes more and more retailers will offer AR experiences in-store and online, in order to win back customers and make the shopping experience more exciting. Gartner believes that AR can shake up the customer experience by individualizing retailers’ offers and enabling customers to visualize products in different settings. 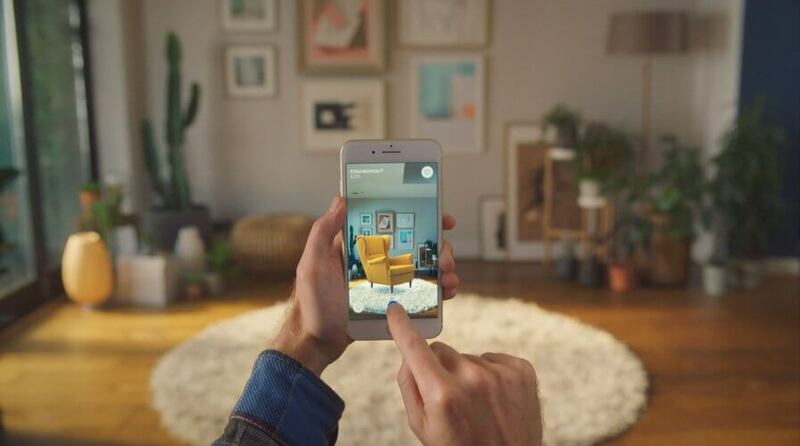 By 2020, the company believes that 100 million consumers will shop in AR online and in-store. “Retailers are under increasing pressure to explain the purpose of physical stores, and take control of the fulfilment and return process for cross-channel execution,” Gartner Principal Research Analyst Hanna Karki said. Retailers see the potential that AR offers as a technology. By 2020, Gartner’s study found that 46 per cent of retailers plans to deploy either AR or VR solutions to meet customer service experience requirements. Recently, Zara, Lancôme, Helzberg Diamonds, and many other retail brands have announced that they’re going to build an AR experience soon. “The experience uses augmented reality technology through the Microsoft Surface Pro 4 to try on more than 100 ring styles in multiple viewing angles by placing their left hand on a custom designed palm rest with motion-tracking sensors,” a Helzberg spokesperson told local media. At the end of the day, more retail businesses are making an investment in augmented reality. The technology is less intrusive than virtual reality, requires no special hardware (except a smartphone), and is a great way to improve the retail experience significantly.